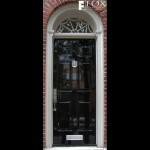 We finished and installed this painted door on a newly renovated home in Center City Philadelphia. Although the contractor was able to save the existing arched jamb and window, the old door had too much damage to be saved. 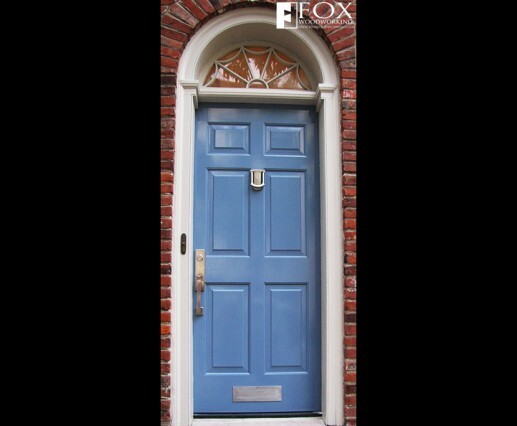 The satin chrome finish of the new door hardware plays nicely against the blue painted door. The blue paint, itself, is a catalyzed product with a high gloss sheen. 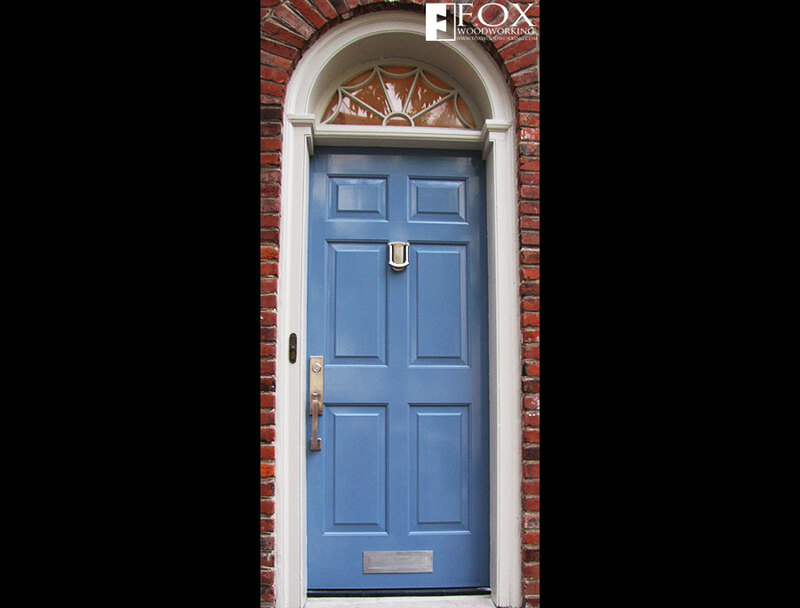 The light blue is very reminiscent of the colonial colors seen in Old City Philadelphia, which is not too far from this house.